I love the fit of this hydration pack! It fits amazing and is super lightweight (very packable for taking out west and using as a summit bag) The pockets are very expandable; great for holding lots of things. I like having the soft flask hydration bottles up front because you can keep better track of your water levels. The feature I love the most about this pack is the amount of give it has while wearing it! The straps and fabrics are very elastic (unlike some other hydration packs) that allow the pack to give and move with you as you breathe, not constricting you because the fabric or straps are made of static materials. 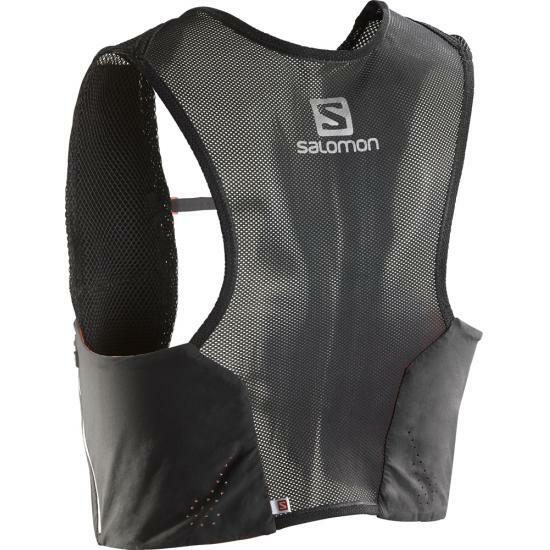 This allows running up hill or hard to be more comfortable around the rib cage.